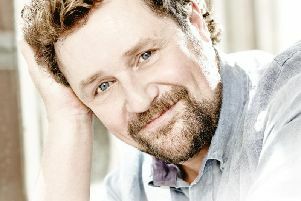 Michael Ball will return to Chichester Festival Theatre this summer, the theatre has confirmed in an early glimpse of the summer season ahead. The show will be directed by the CFT’s artistic director Jonathan Church and will be choreographed by Stephen Mear, running from July 13-September 5. The CFT is hoping to announce the rest of the summer season at the end of February, but has confirmed Mack & Mabel early, to tie in with its national tour in the autumn. Based on the true romance between Hollywood legends Mack Sennett and Mabel Normand, the musical comedy received eight Tony Award nominations when it opened on Broadway in 1974. Michael Ball plays Mack Sennett. Recent credits include the BBC television drama That Day We Sang, which reunited him with Sweeney Todd co-star Imelda Staunton. Theatre credits include the title role in Sweeney Todd (Chichester’s Festival 2011 and West End), Hairspray, Les Misérables, Chitty Chitty Bang Bang, Passion, Aspects of Love, The Woman in White and The Phantom of the Opera. Ball co-produced Chichester Festival 2010’s West End transfer of Love Story. He also has a successful recording and broadcasting career, and will be embarking on a UK concert tour in spring 2015. The production is directed by Jonathan Church, Chichester’s artistic director. Chichester credits include Festival 2014’s Taken at Midnight (also West End) and Amadeus, The Last Confession (Toronto, Los Angeles and Australia tour), Singin’ in the Rain (also West End and tour), The Resistible Rise of Arturo Ui (also West End) and The Life and Adventures of Nicholas Nickleby (also West End). Other credits include Of Mice and Men (West End and tour) and The Witches (West End and tour). Further information, including booking dates and ticket prices, will be announced at the end of February. Visit cft.org.uk or contact the Box Office on 01243 781312 for more details.